Think You have Celiac or Gluten Sensitivity/Intolerance? Celiac disease is a genetic autoimmune disorder where the ingestion of gluten leads to damage in the small intestine. It is estimated to affect 1 in 100 people worldwide. Two and one-half million Americans are undiagnosed and are at risk for long-term health complications. Celiac disease can be difficult to diagnose because it affects people differently. There are more than 200 known symptoms which may occur in the digestive system or other parts of the body. Some people develop celiac disease as a child, others as an adult. The reason for this is still unknown. Currently the only treatment for both celiac disease and non-celiac wheat sensitivity is lifelong adherence to a strict gluten-free diet, which means the elimination of wheat, rye and barley. A wide range of psychological problems can arise for those with untreated celiac disease or non-celiac wheat sensitivity. Initially there may be a misdiagnosis of psychiatric illness. Once diagnosed, there may be difficulty adjusting to a new diagnosis of chronic illness and adherence to a gluten-free diet. Celiac disease is an autoimmune disorder. People with one autoimmune disorder are prone to getting other autoimmune disorders. The most common autoimmune disorders associated with celiac disease are thyroid disease and Type 1 Diabetes. Other serious conditions and cancers are also associated with celiac disease. You must be tested before starting a gluten free diet! If you think you do have Celiac Disease, a gastroenterologist will do a specific blood test to check for appearance of antibodies to gluten. If you have been of gluten for a while, you will get a negative result on the test. There is a stool DNA test for celiac and non-celiac wheat sensitivity that we do, here at 2 Nourish. With the stool test, you are able to be off gluten for a short time, and have an accurate result. 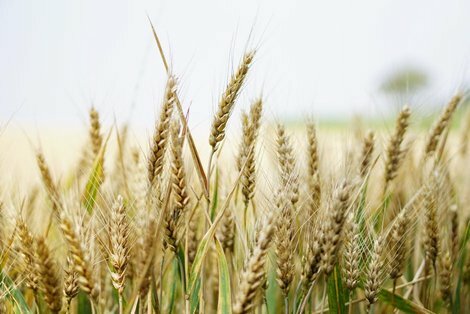 People with non-celiac wheat sensitivity experience symptoms similar to those of celiac disease, which resolve when gluten is removed from the diet. What if you test negative for celiac disease but still react badly to gluten? Recent medical research lends credence to the idea that gluten sensitivity represents a real condition. However, not all physicians agree on its existence. Also, there seems to be no consensus on how to actually test for gluten sensitivity. Non-celiac gluten sensitivity can affect nearly every system in your body, with symptoms that include digestive effects, skin problems such as rashes, brain fog, joint pain and numbness in your extremities, according to physicians who are researching this still-unproven condition. Research into this condition is in its infancy. Not all physicians have accepted it as a "real" condition. Consequently, not all will provide patients with a diagnosis of gluten sensitivity. Those practitioners who will diagnose the condition will conduct celiac disease testing and rule out celiac first. It is estimated that 18 million Americans have non-celiac gluten sensitivity. That’s 6 times the amount of Americans who have celiac disease. Non-celiac research into this condition is in its infancy. Not all physicians have accepted it as a "real" condition. Consequently, not all will provide patients with a diagnosis of gluten sensitivity. Those practitioners who will diagnose the condition will conduct celiac disease testing and rule out celiac first. "These patients absolutely do exist, They do have real symptoms." Until now it was thought that people with NGCS/NCWS only experienced symptoms and did not have any intestinal damage. However, in July 2016, a team of researchers at Columbia University Medical Center, published a study confirming that wheat exposure in this group is, in fact, triggering a systemic immune reaction and accompanying intestinal cell damage.